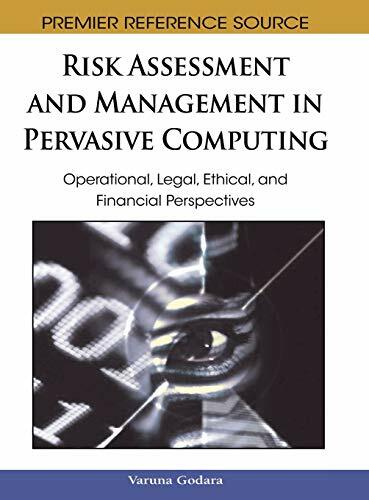 [PDF] Risk Assessment and Management in Pervasive Computing: Operational, Legal, Ethical, and Financial Perspectives (Premier Reference Source) | Free eBooks Download - EBOOKEE! Description: The e-businesses of today are adopting pervasive computing with fervor but at the same time becoming increasingly aware of the many risks involved in it. Risk Assessment and Management in Pervasive Computing: Operational, Legal, Ethical, and Financial Perspectives examines the implications of pervasive computing from varying crucial perspectives so that current and future e-business managers can make responsible decisions about where, when, and how to use this technology. Containing 19 chapters from an international pool of leading experts and field practitioners, this unmatched resource will enhance the awareness of emerging and global issues in e-business risk management. No comments for "[PDF] Risk Assessment and Management in Pervasive Computing: Operational, Legal, Ethical, and Financial Perspectives (Premier Reference Source)".